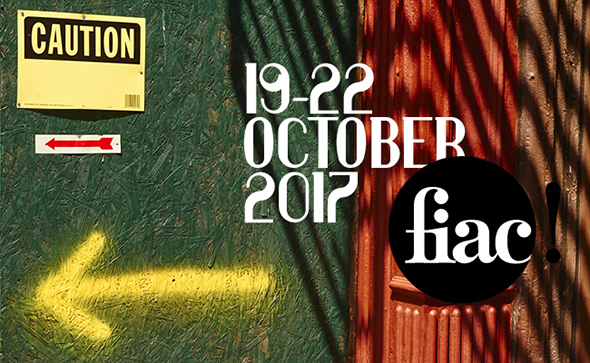 FIAC is now accepting applications for the 2017 edition of the fair. The 44th FIAC will be held in Paris from Thursday, October 19 to Sunday, October 22, 2017 in the Grand Palais, the Petit Palais and in its different Hors les Murs sites including the Tuileries Garden and the Place Vendôme. The vernissage will take place on Wednesday, October 18. FIAC’s General Sector will feature some 175 galleries specialising in modern and contemporary art presenting a balanced panorama of the artistic creation from modern masters to the most emerging trends. Galleries will be deployed in the exceptional spaces of the Grand Palais: the Nave on the ground floor together with the Salon d’honneur, the Salon Jean Perrin and the Upper Galleries on the first floor. The Lafayette Sector, a programme launched in 2009 by FIAC and the Groupe Galeries Lafayette, Official Sponsor, is designed to showcase galleries of the young generation. The Lafayette Sector provides significant funding for a group of ten galleries, founded in 2005 or after, and selected by an independent jury on the basis of the quality of their exhibition programme and a project, including one or two emerging artists, proposed specifically for FIAC 2017. Application forms are available for completion online and will be open until Thursday, March 16. Launched in 2016 and situated in the exceptional exhibitions spaces of the Petit Palais and on the Avenue Winston Churchill, On Site presents around 40 sculptures and installations. This sector is curated by Christophe Leribault, Director of the Petit Palais, FIAC and a guest curator whose name will be announced shortly. Application forms are available for completion onlineand will be open until Friday, June 30. The programme of outdoor sculptures and installations is presented in the Tuileries Garden and the Musée Eugène Delacroix in collaboration with the Louvre Museum, and on the Place Vendôme in collaboration with the Committee Vendôme. Programmes of performances, artists’ films and conversations will be held in different venues during the FIAC week. Our “In Paris during FIAC“ programme presents a network of over 100 cultural institutions, including prominent museums, arts centers, private foundations and collections such as the Louvre Museum, the Centre Pompidou, the Palais de Tokyo, the Musée Picasso, the Fondation Louis Vuitton, the Grand Palais, the Musée d’Art moderne de la Ville de Paris, the Château de Versailles, the Petit Palais and the opening of the Fondation d’entreprise Galeries Lafayette.